Will You Drink And Chill In A Place Surrounded By Praying Joystick, Paperdoll And Hell Notes? We Dare You! There are always some people that love the dark horror theme a bit too much. But Halloween only comes round once a year. But for those people who can’t wait, this new bar might just be the fix they need. The Deceased is a daringly macabre theme new cocktail bar that pays homage to all things spooky. 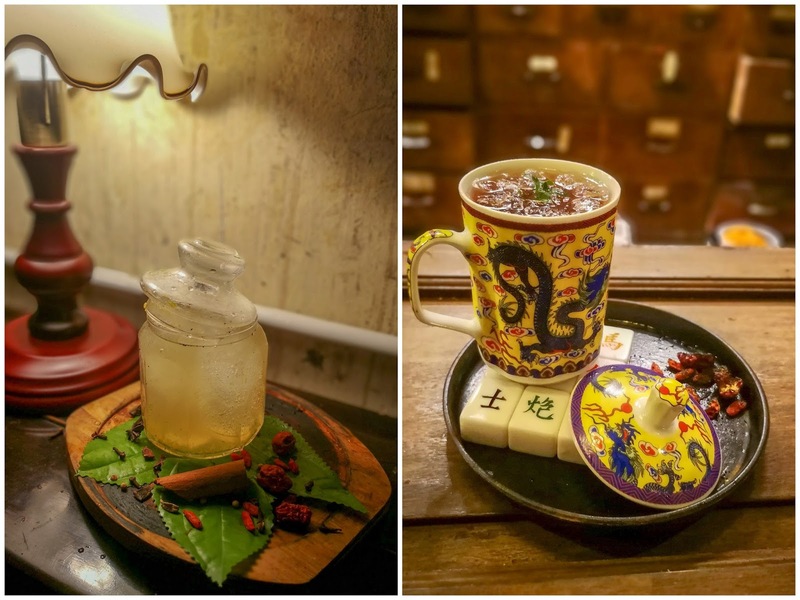 Set in a former Chinese drugstore and part of Chinatown's Mingle Hostel, it has the Chinese ghost story backdrops and sticks up with the Taoist talisman, paper dolls, hell notes and more. 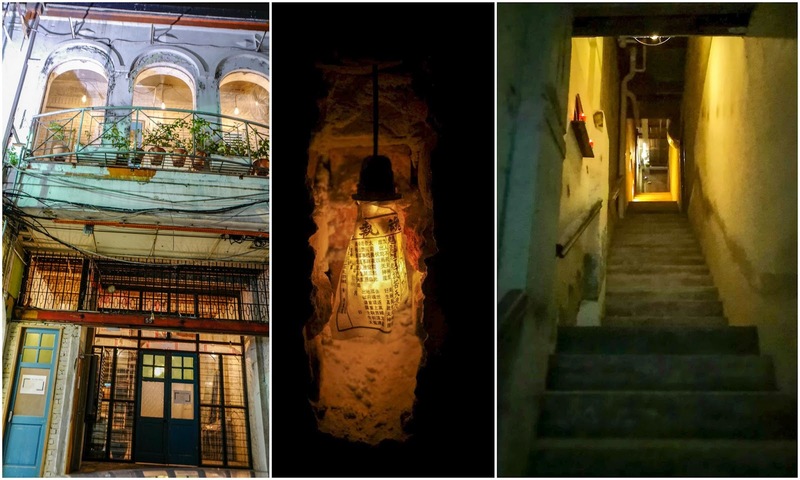 To even enter you'll need to brave a shadowy staircase lit by bulbs wrapped in Taoist talismans, as the haunting strains of the Ghost Bride Prelude from the Hong Kong horror movie Rigor Mortis play eerily in the background. 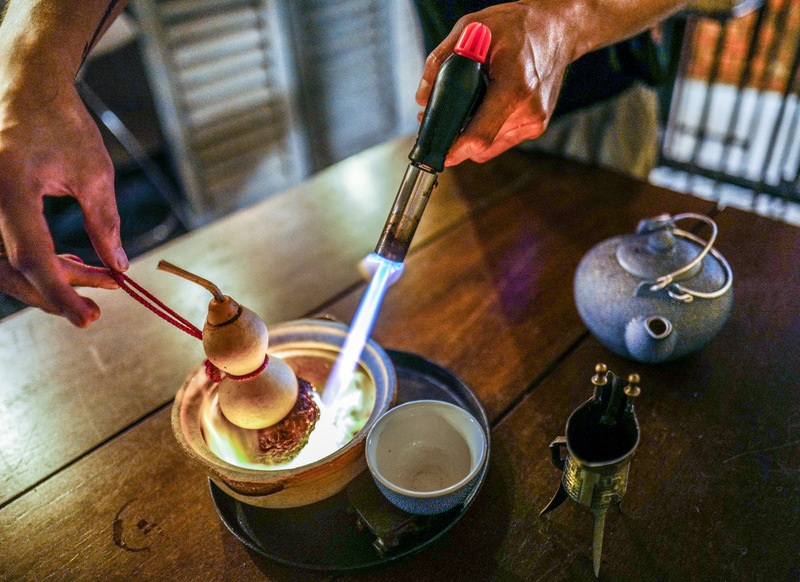 Complete with elaborate frills like a cinammon stick-smoking mask and a popping balloon, encircling a rum-based, ginger-laced complex cocktail topped with a betel leaf. 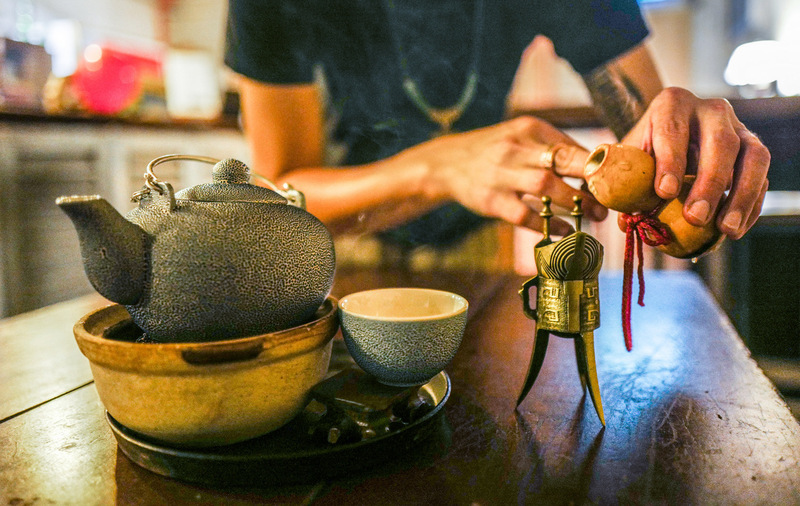 Oriental and Malaysian ingredients supply a strong influence, spanning everything from Chinese rose liqueur to vodka infused with red dates, oolong tea to rice wine, star anise to green bananas. The cocktail selection is still evolving, but recommendations also include a teapot blend of gin and local tea that's served in a ceremony that requires some torching, resulting in Steven's take on a Long Island Iced Tea, but much more mellow. Encouragingly, most of these cocktails cost RM28 each - a genuine bargain considering the painstaking effort that's poured into preparing each one. If you are planning to make a visit, do note that you’ll need a reservation and obtain a pass-code to use at the street-level entrance (beside Leaf & Co Cafe). 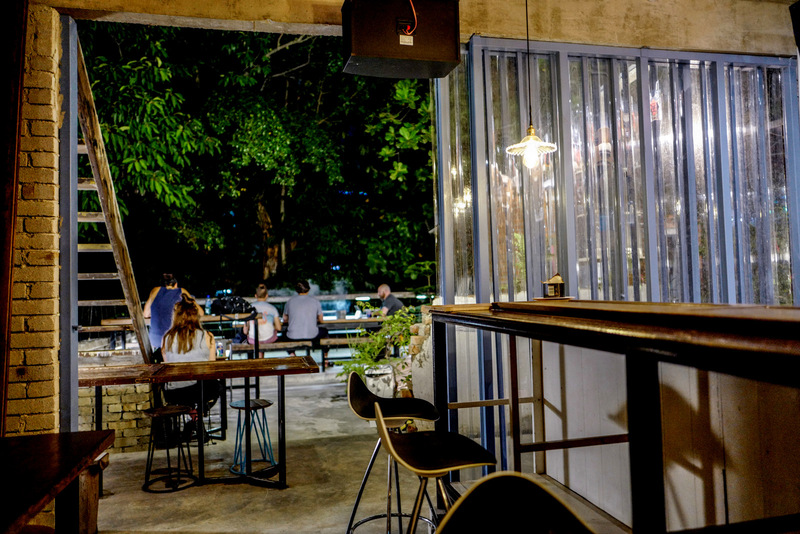 It's worth the effort; plus, you can meet hostel guests from around the world at the bar's leafy alfresco terrace. The Deceased does encourage mingling, with communal tables galore. 55, Jalan Sultan, Kuala Lumpur.